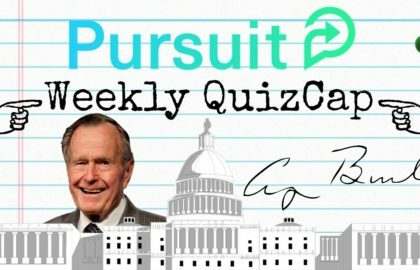 Welcome to the weekly QuizCap, a fun way to test your knowledge on what’s going on in Washington. 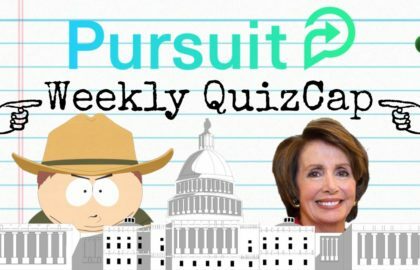 This week, Congress fails to solve a simple equation, agencies go on a spending spree, and is the penny obsolete? Congress continues to ignore its obligation for fiscal responsibility as deficits continue to rise close to all-time highs. How many years in a row have we run a budget deficit? Every year for the last 17 years we have been in a budget deficit. And these deficits are projected to grow larger and larger every year. Which adds to an already massive and exploding national debt. For some reason this equation seems to elude Congress. In order to not have a budget deficit, Congress needs to either raise revenues (taxes) or cut spending. Rather simple equation actually. Recently, Congress held a hearing on the future of money. One of the downsides to a “crypto dollar” is that some Americans would not be able to access a computer or smartphone. How many Americans currently own a smartphone? While it is true that only 77% of Americans currently own a smartphone, a whopping 100% of Americans ages 18-29 own a cellphone and 94% own a smartphone. What are some other downsides to cryptocurrency? Hearing witnesses were quick to remind Congress that while cryptocurrency may be the money of the future, the dollar is very hard to counterfeit. Congress expects to receive a “penny report” from the Bureau of Engraving and Printing (BEP) later this year. Currently, how much does a penny cost to make? According to witnesses, it costs about 2 pennies to make one penny, and it costs about 6.3 cents to make a nickel – making each more valuable than they are worth. This week, the Senate passed a spending bill that funds the Departments of Defense, Health and Human Services (HHS) and Labor and Education. What is the price of the bill? The continuing resolution will only fund these agencies until December 7, so Congress will have to once again take this issue up after the midterm elections. A recent report shed light on the Veterans Affairs (VA) backlog. In 2015, the Secretary of the VA set a goal of eliminating the backlog by 2015. In 2013, the backlog reached its peak at 611,000. As of May 2018, what was the backlog? At the end of every fiscal year, federal agencies rush to spend obligated money appropriated by Congress the year prior. How much are agencies expected to spend in the final quarter this year? The spending spree is due to the omnibus Congress passed in March along with funding increases for defense ($80 billion) and other agencies ($63 billion). The 2020 census is soon approaching. How much does the Census Bureau expect it to cost? According to the Government Accountability Office (GAO), in October 2017, the Census Bureau announced that the projected life-cycle cost of the 2020 Census had climbed to $15.6 billion, a 27-percent increase from its 2015 estimate.